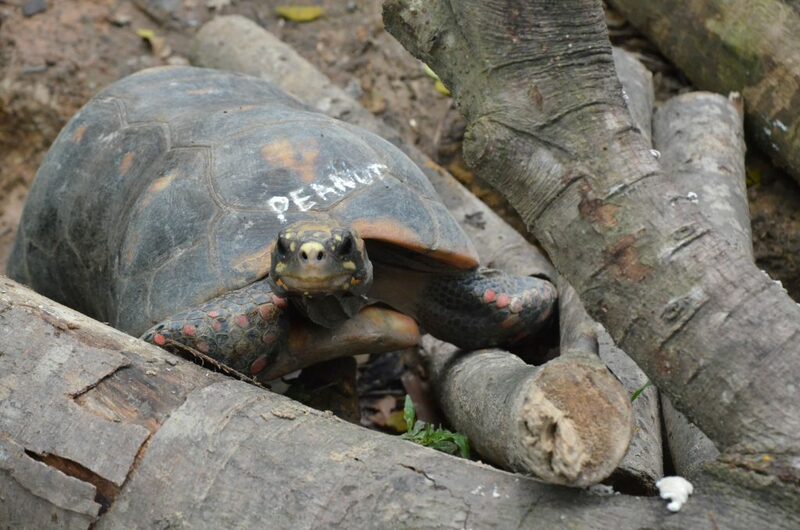 Meet Peanut, a red-footed tortoise named after his peanut-shaped shell. 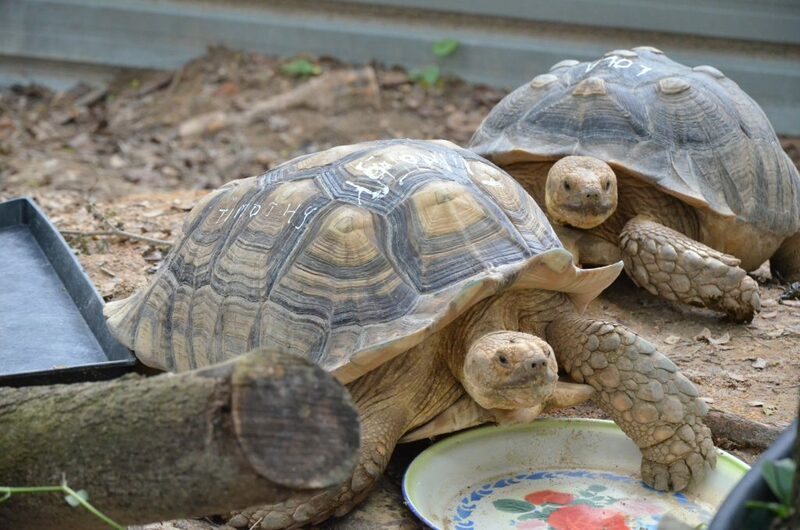 Red-footed tortoises typically hail from South America. But Peanut was spotted roaming on its own in Jurong and is likely to have been abandoned by its owner. 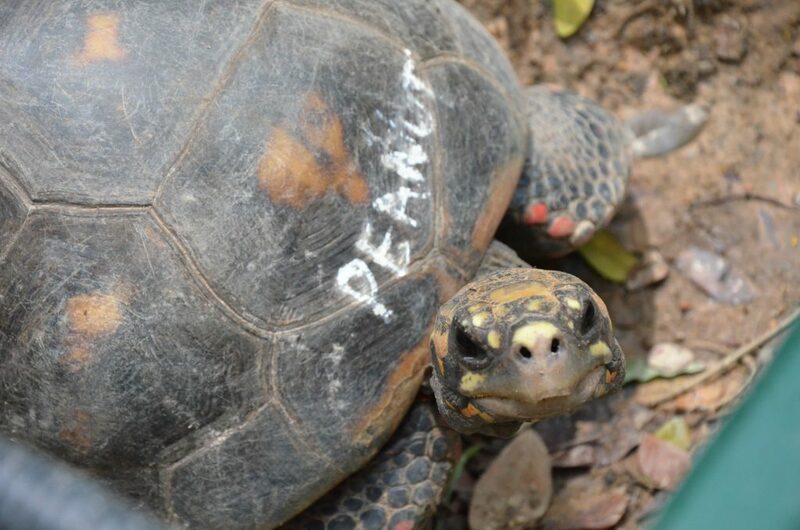 Peanut and many other exotic animals are likely to have arrived in Singapore through illegal means. Despite fairly stringent laws, Singapore is still considered a major center of illegal wildlife trade. In 2017, it’s named a “country of primary concern” by wildlife trade monitoring network, TRAFFIC. The exotic pet trade can be very cruel, said Ms Anbarasi Boopal (pictured below), deputy chief executive of Animal Concerns Research and Education Society (ACRES). “These animals are taken away from the wild and smuggled in horrible conditions just to be sold here,” she told The UrbanWire. The ACRES team would step in to rescue, treat and hopefully rehabilitate the abandoned animals when they’re alerted to the sightings. That’s how they came to take Peanut under their wings. 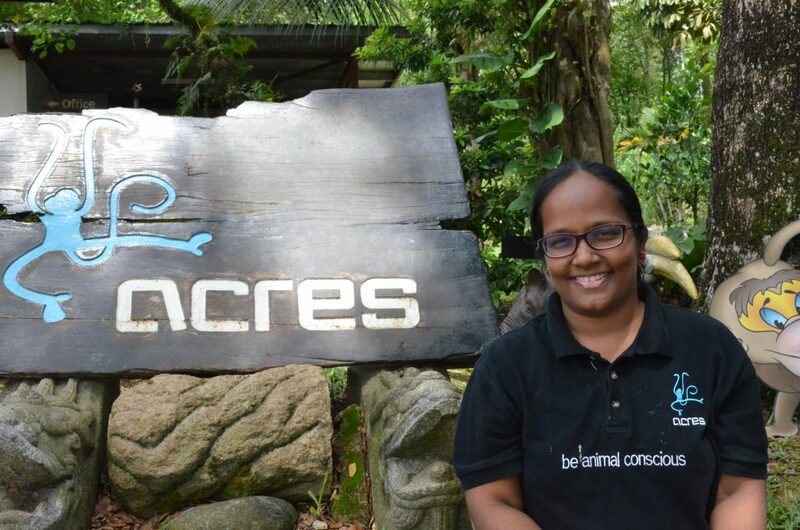 Peanut is now housed at ACRES’ “sanctuary” which is located in the Choa Chu Kang area at 91 Jln Lekar. The sanctuary acts as a small rest stop for animals to regain their health before returning to the wild. But Peanut’s chances of returning to its birthplace are fairly low as the team has to find a suitable facility to send it home. 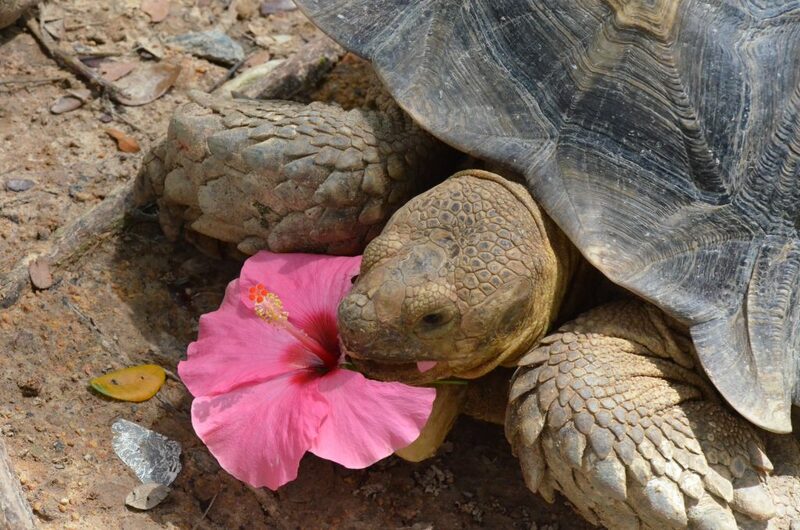 Another resident in the sanctuary is Todd, a laidback radiated tortoise that likes eating vegetables and flowers. He was originally kept as a pet but his owner later handed it over to ACRES. 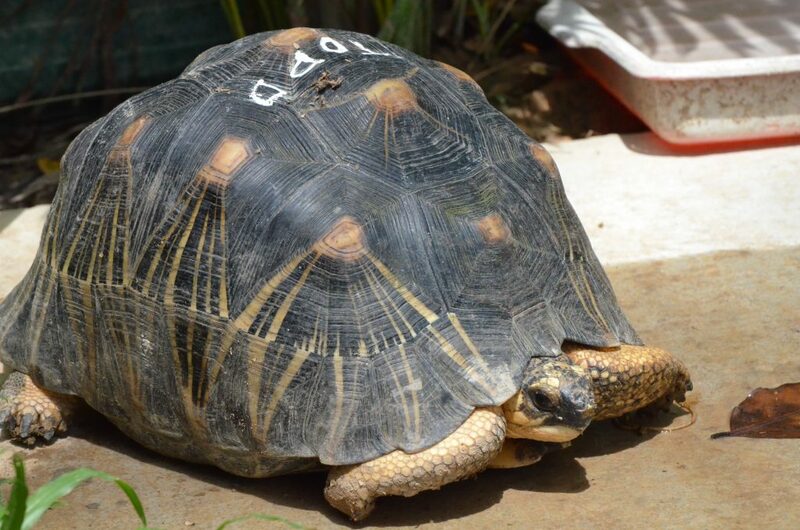 Originating from Madagascar, the radiated tortoise is critically endangered. 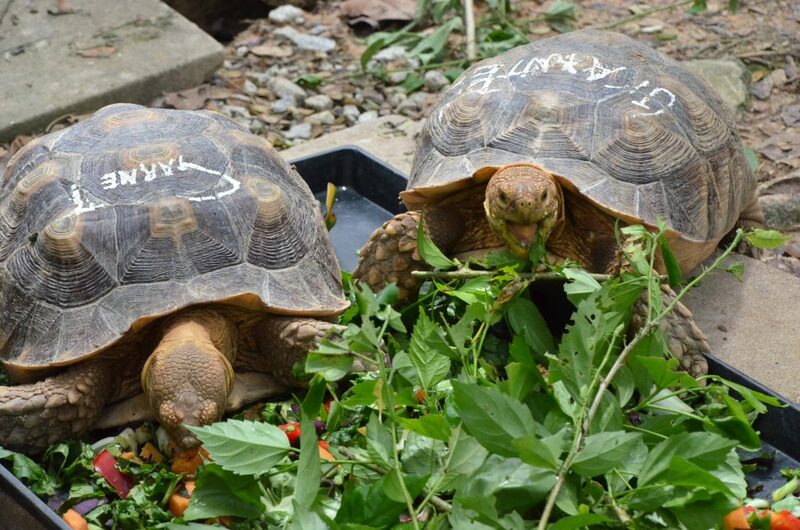 There are also 4 African-spurred tortoises, a popular breed in the pet trade, who take shelter at the sanctuary. All 4 of them – Granite, Garnet, Lola and Timothy seem outgoing and responsive. They’re likely to have been abandoned by their owners too. 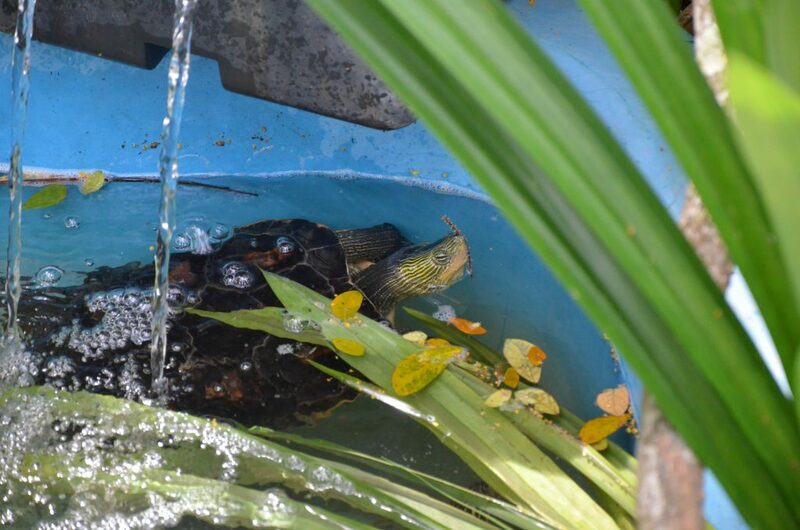 Zebra, a Chinese stripe-necked turtle which likes vegetables and fish, is likely to be a long-term resident at the sanctuary. ACRES is unable to secure a protected area for its release. Ms Boopal said she hopes more people will develop compassion for animals. If you do come across people keeping or selling prohibited wildlife or their parts, contact ACRES at acrescrime@gmail.com or 97837782.